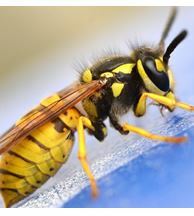 With insect control in Oldham there is a simple solution to relieve homes and offices from the misery of insect infestations. Founded in 1999, Pro-Kill Environmental has many years of experience in the pest control industry. Their interdisciplinary team of specialist technicians are able to take on all your pest management issues, in homes, hospitals, the hospitality industry, schools, farms, warehouses, and the construction industry. All their staff are fully compliant. They know how to go about their insect control methods in a safe, environmentally friendly method. They are fully insured and comply with- and are members of the British Pest Control Association standards. Pro-Kill Environmental are also members of other pre-qualified and accredited organisation, providing customers the assurance that they are dealing with true professionals. In Oldham, insect control is always done following the correct procedures. They will first conduct no-charge site surveys and assessments for their customers in the commercial sector, and then provide a full report on their findings. They let customers know of the affordable and effective steps they intend taking to offer the best insect control measures there are. They also know that pest infestations in the home can wreak havoc. They provide an honest and cost effective service to get to the root of the problem and will also provide a free over-the-phone advice line for all their domestic customers. Whether your problem is wasps, rats, cockroaches, bedbugs or fleas, they try to get to their customers on the same day. Insect control in Oldham is efficient and trustworthy. The price they quote is what you pay. This is because of the thoroughness of their services. Their technicians always perform a detailed inspection which includes a drainage defect survey if required to understand the extent of the problem. Why don’t you call this reliable insect control team now? They believe that the best way to stop an infestation is to get it well before it becomes troublesome. For an efficient insect control service, contact Pro-Kill Environmental. This entry was posted in Pest Control Solution and tagged Insect control in Oldham, Oldham Insect control. Bookmark the permalink.